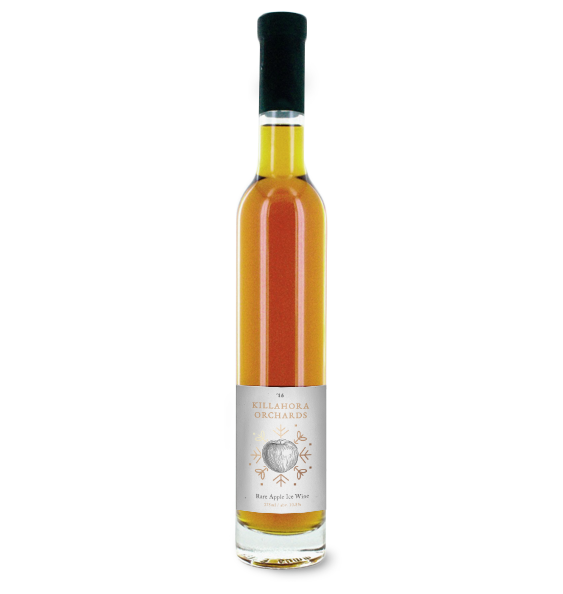 This is the real destiny for the best of our apples, and its been dropping jaws during tastings all over the place.....presenting Irelands first Ice Wine, Ireland first real Dessert wine and one of the worlds first Bittersweet Apple Ice Wines. What is it you say? What indeed. It starts with an explosion of candy floss aroma, and with toffee apple flavours before the green apple acidity peers through. This carries this brightness through to the emergence of soft tannins, leaving a hint of dryness on the tongue as the freshness of the apple and hints of caramel fade into the background. It is a true Bittersweet Symphony! That'd be telling ;-) But its basically a natural process similar to those used in Canada where this drink originated, thanks to the innovation of producers such as Le Face Cacheé de la Pomme and Domaine Pinnacle, as well as European producers such as Brannland and Cold Hand in Denmark. Essentially we slowly freeze and thaw our pressed juice to create a much richer must than we would get from a regular pressing, and partially ferment to keep mcuh of the natural apple sugars intact, providing that balance between alcohol of 11%, fresh, bright malic acidity and delicate, pure sweetness. As our premier drink, it contains nothing but the best of the apples we can grow or source. Our first edition has taken over a year to make and we have already cellared some of our production to see how it changes over the years. It is a truly unique drinking experience that we recommend as a dessert wine, but thanks to its acidity can also pair with pork and cheeses. Serving at 8-10 deg C is where we think this works best in a small measure of 70ml. As it warms it reveals more complexity and aroma. 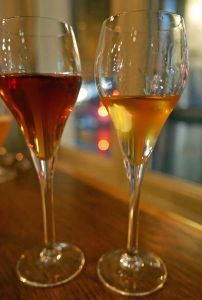 Ice Wine is on the left, Pom’O on the right above. We’ve had recommendations of Goats Cheese and Goat Blue Cheese, (the Ardsallagh Ash pyramid specifically), tarte tatin, pork dishes and even Indian Korma! We woudl recommend as an after dinner because frankly there is very little that can follow it…..you’ll know what we mean when you taste it.